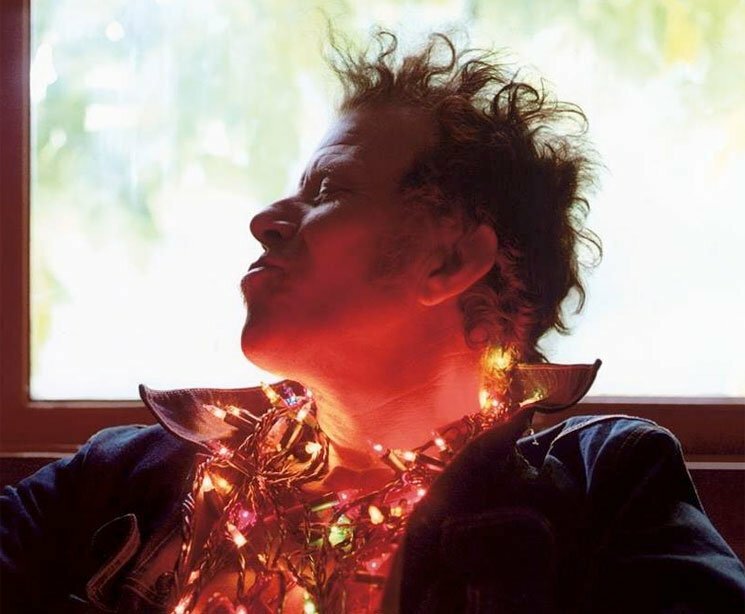 Following in the footsteps of Trent Reznor, Elton John, Hans Zimmer and Massive Attack's 3D, Tom Waits has emerged with a newly recorded contribution to Banksy's Walled Off Hotel project in Bethlehem. It's not an entirely new piece, however, but a new instrumental version of his much-loved classic "Innocent When You Dream." Waits revealed the recording today (October 31) via a new video posted on his Facebook. In an accompanying statement, the post reads, "The Irish are no strangers to strife and division, and Waits selected this Irish tinged waltz because of its lyrical and wistful mix of regret and dreams for a world without walls." You can watch the video for the song, which originally appeared on 1987s Franks Wild Years, below. As a post on Banksy's official site previously stated, "2017 marks a hundred years since the British took control of Palestine and helped kick start a Century of confusion and conflict." As a result, his art project has been running all year in a West Bank hotel. As recently reported, Waits has launched a massive reissue campaign, and you can learn more about that here.